Each month we take on a specific mission as a congregation, taking a special offering and volunteering as needed. April’s Mission of the Month is Camp Erin-Albany, a free, weekend overnight camp open to any child or teen who has lost someone important in their lives. Held in late September at Camp Fowler, Camp Erin is a weekend-long experience filled with traditional, fun, high-energy camp activities. But what makes Camp Erin special is the grief education and emotional support they provide---facilitated by licensed social workers, nurses and trained volunteers from The Community Hospice. Free bus transportation is also provided and every camper goes home with a hand-made quilt. They learn that their feelings are perfectly normal. 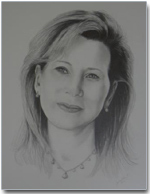 They have an opportunity to address their feelings and memorialize their loved ones. They are provided with tools and resources for use during and after camp, including memories and friendships that last long after camp is complete. Please consider donating any of the items below during the month of April. Thank you. Established in 1975 as a community service project of GardenWay, the former manufacturer of Troy-Bilt lawn and garden equipment, the CDCG is a national leader connecting people and communities with knowledge and resources to improve their well-being. Today, CDCG works to reduce the impact of poor nutrition on public health in our area. The group organizes community gardens, provides healthy food access, offers nutritional and horticultural education for all ages, and coordinates urban green programs in Albany, Rensselaer, Schenectady, and southern Saratoga counties. The Community Gardens Project makes 850 garden plots available in 49 community gardens all across our region. 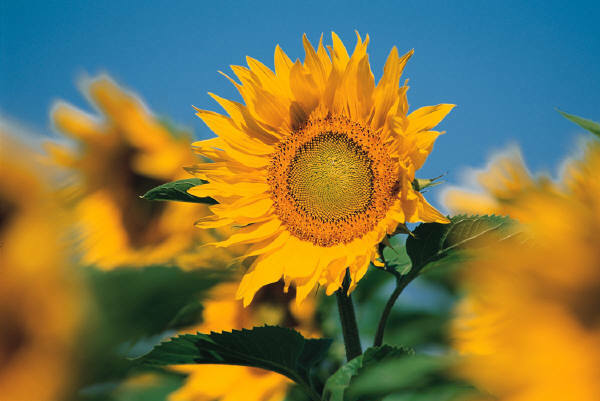 Anyone with an interest in growing their own food and flowers can sign up for a plot. In addition, all of CDCG’s community gardens are managed organically. And novices don’t have to worry or spend a lot of money. CDCG personnel teach gardening skills and help provide access to resources for those new to gardening. In addition, the organization serves those with limited access to fresh food in a number of ways. The Veggie Mobile is a mobile market place that travels to inner-city neighborhoods. It has been delivering fresh, affordable, local produce to residents with limited access to fresh food since 2007. And the delivery truck runs on bio-diesel fuel and solar energy! The Veggie Mobile Sprout is a mini version that is able to negotiate city traffic to deliver to elderly and low-income housing year round. CDCG’s Squash Hunger Program is a food donation initiative that collects and distributes more than 11 tons of fresh produce to regional food pantries and shelters each year. Begun in 2004, the project strives to bring an abundance of fresh food to the tables of the hungry of our area. The Tastes Good Series is a nutrition education program for children in pre-school through second grade. A CDCG Garden Educator visits inner-city classrooms once a week for six weeks to introduce a different product each week. Kids learn that broccoli, bananas, and kale taste good! The Convenience Store Initiative gives fresh, affordable produce a daily presence in urban convenience stores, often the most accessible source of food to those living in cities. In partnership with local small business owners, the project provides families with fresh alternatives to the canned and processed goods that typically fill the stores’ shelves. These are just some of the valuable projects supported by the Capital District Community Garden. Your financial gift will go to help provide fresh, nutritious food to those whose access is limited. 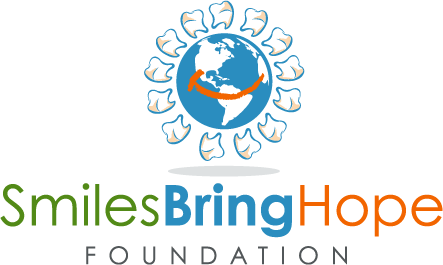 For more information on Smiles Bring Hope Foundation, visit www.smilesbringhope.org or Douglas Smail on Facebook or YouTube. The month of January is often associated with trying something new. As you can see, the beneficiaries of our January mission of the month are a little different than those we typically help. They are, however, not less deserving. In fact, a number of Humane Society programs meet the needs of both humans and animals. The Mohawk Hudson Humane Society (MHHS) has been providing shelter and care for lost, abused, and unwanted animals since 1887. In fact, it’s the oldest and largest animal protection organization in the Capital Region. It receives an average of over 6,000 animals per year, and cares for them with no funding from federal, state, or local government, nor from any other animal welfare groups. MHHS runs programs for pet adoption, spay/neuter, humane education, disaster preparedness, animal surrender, and many more. They bring pets to nursing homes, investigate allegations of cruelty, and even provide a canine memorial site. MHHS partners with Unity House and Equinox Inc to eliminate barriers that prevent women from leaving abusers. They strive to educate the public about the link between animal abuse and domestic violence. They even work with the Albany County Sheriff’s Department to help homeless dogs positively impact inmates at the county correctional facility. During the month of January, we are collecting needed items for donation to MHHS. Some suggestions include, but are not limited to, the following. Please check the tables at the back of the Sanctuary. For more information or additional suggestions of needed items go to their web site: mohawkhumanesociety.org. As a church we are again sponsoring a needy family for Christmas through our traditional Angel Tree. To help bring cheer and support to someone in need, merely choose an angel from the display in the Sanctuary. On it you will find a suggestion for a gift to be purchased. Write the number of the angel selected and your name on the sheet provided. Once you have purchased the gift, please wrap it and bring it to church no later than December 15. 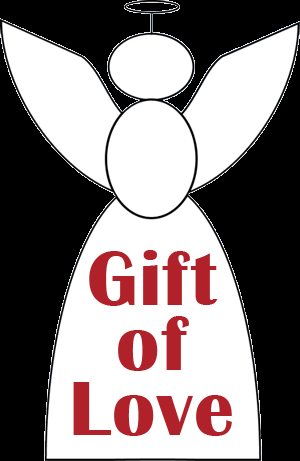 It is important that the selected angel be attached to the gift so the item can be identified for its intended recipient. Since 1993, more than 100 million boys and girls in over 130 countries have experienced God’s love through the power of simple shoebox gifts from Operation Christmas Child. Gift-filled shoeboxes are a powerful way to introduce children to God’s greatest gift, salvation through Jesus Christ. During the month of November, we will be collecting items for this project. Please note the list of suggested and excluded items below. Monetary donations in your yellow envelopes will go toward shipping costs, which are $7 minimum per shoebox. Through your participation in this Mission of the Month, Operation Christmas Child can provide gifts of toys, school supplies, hygiene items, and clothing to children around the world. In the past, Community Reformed’s shoeboxes have gone to Angola, Democratic Republic of Congo, Dominican Republic, Niger, Iraq, Ukraine, Haiti. Please remember that items must be able to fit in a shoebox. Nothing with guns, weapons, or war-related articles can be accepted, as these are real life situations for many of the recipients. 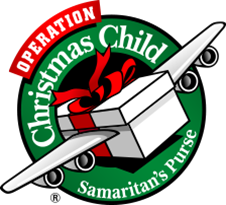 Operation Christmas Child is an arm of Samaritan’s Purse International Relief, a nondenominational, evangelical Christian organization providing spiritual and physical aid to hurting people around the world. Since 1970, Samaritan's Purse has helped victims of war, poverty, natural disasters, disease, and famine with the purpose of sharing God's love through His Son, Jesus Christ. With over 100 families in the Schoharie Valley still waiting to return to their homes, the synod mission working group and the Albany Synod Ministries Board, challenge synod congregations to answer a request for more baskets and totes. Basic kitchen items like cookbooks, mugs, tea, coffee, measuring cups and spoons, kitchen utensils, dish towels, sponges, dish detergent, oven mitts, trivets, hot pads, baking pans. Basic cleaning supplies like dish pan and brush, cleaning solutions, rubber gloves, laundry detergent. Basic bathroom needs like soap pumps, bathroom towels, washcloths, air fresheners. A few extra personal items like welcome mats, stationary suplies, and afghans. Welcome Home Baskets will be distributed by SALT (Schoharie Area Long Term Recovery) as homes are completed. Colonie Community Day Care Center is a not for profit center that has been serving the community since 1975. We have prided ourselves on our outstanding child care that we have provided to hundreds of families over the past thirty-eight years. We believe that a child’s learning and growth is not based solely on the academic side of the spectrum, but it is equally, if not more important for a child to learn to evolve in a social aspect as well. A very important part of the social development of the children here at Colonie Community Day Care Center is directly related to outside free play. Our pride and joy over the years has been our amazing playground area that has given the children the opportunity to play freely with one another, therefore helping with their social development. Over the years, we have added not only new playground equipment, but have planted several trees on the premises in order to expose the children to new adventures not only in imaginative play, but in nature as well. Our center is very proud to have a chance to give the children a spacious area in which they have the ability to play and run independently, giving them a sense of freedom. We have found that this sense of freedom helps immensely in their social growth. The advances that these children have made while in our care may seem little to some, but are immeasurable in the eyes of everyone in that child’s life. Unfortunately, due to a change in New York State regulations, parts of our playground are in danger of being made unusable or removed altogether from the area. In order to prevent this from happening, we MUST invest approximately five thousand dollars into our playground for new surface coverings underneath and around all of the equipment. This has proved to be an impossible cost for us to cover on our own. The time constraints that we are under are hindering us as well, as we are required to complete this transformation within thirty days. It is because of this that we are writing to you in order to ask for your assistance in any way possible. Whether it be a monetary donation, labor, services, or materials, anything will be helpful to our program. We only ask that you find it in your hearts to continue to allow us to provide the children and families that we service with the same opportunities to grow and learn as we have in the past. We appreciate any consideration you would give to this matter and if you would like to make a personal donation or a donation from an organization, please contact Carol Grasso, the director at Colonie Community Day Care Center. You may do this either by mailing to the above address, or by telephone at 518-869-0131. We thank you for your time and are extremely appreciative of anything that is provided to us in our time of need. Please visit their website at http://www.coloniereformed.org/daycare for more information. During the month of June, Community Reformed will be collecting personal-care items and monetary donations for the Joan Nicole Prince Home. Located in the Village of Scotia, The Joan Nicole Prince Home provides 24 hour bedside care for two terminally ill residents at a time in a homelike environment. Staffed primarily by volunteers, the House provides laundry, meals, personal care, cleaning and support to residents and their families. The home is named after Joan Nicole (Keating) Prince, a Niskayuna native and young mother of four. “Joanie” lost her battle with cancer. In her honor, her husband gave a notable donation which allowed the Home to open in 2006. The Joan Nicole Prince (JNP) Home is not a medical facility; it is run independently by the Schenectady Community Home, Inc. However, the Home collaborates with Hospice to provide the same medical management for the patients as they do for anyone receiving hospice care in their own home environment. The volunteers and staff of the JNP Home become the “surrogate family” for residents. Address labels (white) 1" x 2 3/4"
Please visit their website at http://www.joannicoleprincehome.org for more information. The Food Pantry of the First Church in Albany is really a continuation of the centuries old custom of taking care of widows, orphans and the homeless through the Deacons Fund. Managed by a Community Outreach Worker, and staffed by volunteers, First Church’s food pantry serves the people of their neighborhood. 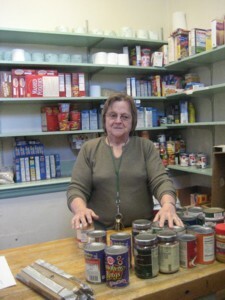 The food pantry is currently serving 250 families, many of them several times a month. Monthly supplies of food and other grocery store essentials, such as diapers and toothpaste, are distributed. In addition to providing food and grocery items, they get continuous requests for dish soap, Hot Cocoa, Jelly (they have a lot of peanut butter but no jelly), and toothpaste & tooth brushes. Most of the families are on food stamps and are unable to purchase these items with their food stamps, or they are just "nice to have" items. Most children would love a nice cup of hot cocoa one these chilly mornings. And as always, monetary contributions are accepted as well. There are many items the food pantry actually purchases from the Regional Food bank to round out the food selections for the families. The Regional Food Bank provides USDA items free of charge. Your Mission of the Month contribution of food or financial support will go directly to support this crucial mission. Ten years ago, Barry and I faced a challenge that we never faced before. One of our children began to experience symptoms of Post Traumatic Stress Disorder – PTSD. All of our children are adopted and came from troubled families; we didn’t always know the extent of their traumas. We did not realize what was happening to our child or what to do. Thankfully, we had a pediatrician who knew us and our children and was able to point us in the right direction. We did not know much about the mental health system or how it worked. It was a painful journey for us. I wished I had someone to talk to or to explain to me how things worked. I wished there was an organization like Visions of Hope. Visions of Hope is part of the Village of Colonie Outreach Center. Visions of Hope provides peer-to-peer support service to help families or individuals navigate different service systems and to find the most appropriate supports for themselves or their families. We go by different names – parent partners, service navigators, advocates - to name a few; but our goal is to help others with supports that are strength based, attainable and community based. We identify barriers that prevent others in succeeding and try to find supports to overcome those barriers. The Visions of Hope staff gives information, referral and advocacy to those seeking help. We’ve provided food, clothing, and transportation to cover the basic needs when needed. We make connections to social services, mental health providers, developmental assessments, senior services and other health services to those reaching out to us. We provide educational advocacy in the special education system. We are parents who have faced our own struggles and use our experience to help others. Visions of Hope is located in the Village of Colonie Outreach Center at 1639 Central Ave. Our doors are opened to all who need assistance. We rely on our community to help us in helping others through donations of money, food, bus passes or gift cards for food/gas. All donations go to people or programs in our local community. The goal of Visions of Hope is to ensure that no one has to be alone in facing challenges. We can help each other through our own experiences and the connections we make with one another. Our contact Number is 218-1030. Little Dresses for Africa is a non-profit Christian organization whose mission is to provide relief to children in Central Africa. Simple dresses are made out of pillow cases, and distributed through the orphanages, churches and schools in Africa to plant in the hearts of little girls that they are worthy! Who doesn’t have a pillowcase to share? They are readily available and because the hem is already in the material, even a novice seamstress can be involved in this worthwhile project. The pillowcase patterns are simple and they come in all sizes, materials and colors. It was an instant hit and the word spread easily around the country as people were excited to be involved in something so simple that would make such a huge difference in the life of a little girl. Please look in the back of sanctuary this month for more information as well as a “sample” dress lovingly made by our own Sandy Cornwell and simple 4 step directions for these dresses are available on the website. During Advent, we will again be sponsoring our Christmas Angels Mission for families in need. This year we are providing gifts for two families. To participate, just select an angel from the angel tree at the back of the sanctuary and write your name and the number of the selected angel on the sheet provided. Please purchase the gift specified, wrap it, and return it to church by Sunday, December 18. It is very important that you attached the selected angel to the gift so the item’s recipient can be identified. Gift cards can be given to Doris Neese. Samaritan Counseling Center is the largest nonprofit, interfaith counseling practice in the Capital Region. It is a mental health safety net for people in our neighborhoods, schools, workplaces and congregations. Anxiety and depression…Family or marital crisis…Separation or loss…Emotional and behavioral issues of students…Domestic violence, physical or sexual abuse…War-time related trauma. — These are just some of the issues dealt with at the Samaritan Counseling Center. Since 1985, the Center has offered professional, compassionate counseling services to people in varying financial circumstances. There are few other affordable places available for people to turn to with their mental health burdens. The Center’s therapists are all certified and licensed professionals, representing the disciplines of clinical social work, clinical psychology, marriage and family therapy, and pastoral counseling. Caring for a loved one who has been diagnosed with a chronic physical or mental illness has an impact upon the entire family. Not only does it produce change within the individual who has the chronic illness, it also produces change in the lives of each family member. Specifically, siblings of individuals with a chronic illness face the challenges of coping with the diagnosis, understanding the illness and what it means for their siblings, and adjusting their daily routine according to the new needs of their siblings. Thus, they often may feel that their needs are less important and they sometimes find themselves facing emotions of confusion, fear, jealousy, anxiety, helplessness and anger. Your contributions to October’s Mission of the Month will support this program that has been developed to provide information and psychosocial support in a safe and fun-filled environment. “The Bus Stop Club” is a FREE program for siblings (ages 7 to 15) of chronically ill children. It consists of monthly sessions held on weeknights. These sessions allow siblings to share experiences, to ask questions, and to learn about the disease process that their brother or sister is experiencing. It also includes fun activities such as swimming, basketball, arts n’ crafts, field trips, etc. These sessions currently take place at Capital District area YMCA’s. Watch for more information about this local program in our Sanctuary during October. The September Mission of the Month is Reformed Church World Service (RCWS), the agency in the Reformed Church in America that responds to people in need of relief, rehabilitation, or development assistance. These needs are as varied as refugees needing blankets and plastic sheeting to erect temporary shelters; victims of war or natural disasters needing clean water, emergency food rations, personal care items, and counseling; low-income children needing after-school and summer activities and tutoring; displaced persons needing seeds, tools, and a garden plot; and chronically malnourished children and elders needing additional food supplies. Our donations to RCWS will be used specifically for the relief efforts of our local sister congregations ravaged by the Hurricane Irene flooding. Heifer's mission is to work with communities to end hunger and poverty and care for the earth. By giving families a hand-up, not just a hand-out, they are empowered to turn lives of hunger and poverty into self-reliance and hope. With gifts of livestock and training, families are helped to improve their nutrition and generate income in sustainable ways. The animals are referred to as "living loans" because in exchange for their livestock and training, families agree to give one of its animal's offspring to another family in need. It's called Passing on the Gift – a cornerstone of the mission that creates an ever-expanding network of hope and peace. Please contact us to help support this mission! This not-for profit organization sponsors men and women serving overseas and their families. Items needed: Chips, snacks, deodorant, lotion, candy, chap stick, nail clippers, Kleenex, ice tea mix, gum, dry cup of soup, energy bars, energy drinks, candy bars, foot cream, foot powder, Tylenol, Motrin, Q-tips, sun screen, puzzles, can openers, small flashlights. Contributions to Blankets+ mean Church World Service will be ready to help families around the world recover from disasters and build viable, sustainable lives and communities. Please be generous in your support of Blankets+ . Sister Share is an initiative of RCA Women’s Ministries in Cooperation with RCA Global Mission. "Through Sister Share, we are taking a firm stand against the injustice that is leveled against women and children around the world," says Claudette Reid, RCA coordinator for women's minis-tries. "Sister Share is a way for us to partner with Christ, who declared, 'Truly I tell you, just as you did it to one of the least of these who are members of my family, you did it to me'" (Matthew 25:40). Your Mission of the Month donation will work to combat these evils in many ways throughout the world. Give marginalized women in India a place to belong and become financially self-sufficient. Support ministry to victims of mod-ern-day slavery. Feed a hungry child in Nicaragua. Help women heal in Sudan. Provide a cow for impoverished families in India. The Youth Group will be sponsoring March’s Mission of the Month ~ American Heart Association. They will be kicking it off this Sunday, March 6th, encouraging everyone to wear red and jeans to worship with a suggested $5 donation. Also, get a free blood pressure reading and enjoy some heart healthy treats! Help us buy a bed. The Capital Area Council of Churches Emergency Overflow Homeless Shelter opened November 1st and will operate seven nights a week from 7 am-7 pm until April 15th. They provide hot meals, clean clothing, showers and toiletries. Now they are asking for our help because currently some guests have to sleep on air mattresses. Our mission is to help them buy beds. That way guests will have something comfortable to sleep on. Community Reformed’s Quilt Group is having a Pillowcase Party, and you’re invited to help. On Saturday, April 2, the Sew and Reap Quilt Group is hosting a sewing party to make cheery pillowcases for the children in the oncology unit at Albany Medical Center Hospital and other cancer centers in our local area. January’s Mission of the Month funds will be used to purchase fabric needed to make up pillowcase kits from which the pillowcases will be made. The Pillowcase project is part of American Patchwork and Quilting magazine’s 1 Million Pillowcase Challenge in support of an organization of sewing volunteers called ConKerr Cancer. ConKerr Cancer was started by mom Cindy Kerr when her son, Ryan, was diagnosed with cancer back in 2002. To brighten his hospital room, Cindy began making fun pillowcases for his bed in the oncology unit of their Philadelphia hospital. Soon she was making pillowcases for all the kids in the unit. Since then, her efforts have blossomed into an international organization of school groups, sewing circles, church groups, prison in- mates, and even the sick children themselves, all sewing pillowcases to make a sick child smile. We need your help to make this project a success. Please consider supporting our Pillowcase Party with your donation during January, and with your time on April 2. More information about the sponsors of the Pillowcase challenge can be found at www.conkerrcancer.org or www.allpeoplequilt.com. Let’s go apple picking and support the men who will be picking apples for us to enjoy. They are in need of a variety of items. So take a look at the apples on our apple tree located in the rear of the sanctuary and help make their stay a little easier. Any questions contact Becky Miner. The Boght Arts Center is an interfaith ministry of the Albany Classis of the Reformed Church in America. The Center was created to provide an environment in which art and spirit might converge and artists might wrestle with theology. In its first year, the Center has provided a vast array of visual and performance arts, creative worship, as well as, classes and workshops. Funding for the non-profit center is entirely dependent on individuals, faith communities and corporations. Any and all contributions would be most appreciated. Please contact us or visit http://www.boghtarts.org to become a part of this creative, exciting, and growing ministry! June’s Mission of the Month is the Capital Region Theological Center (CRTC). CRTC is a joint effort and ecumenical mission in theological education between the Reformed Church in America, the Evangelical Lutheran Church in America, the Presbyterian Church (USA), and the United Church of Christ. CRTC provides continuing education and support for clergy, as well as training laity for ministry. Their events are open to persons of all faiths. CRTC offers one day seminars and enrichment courses, as well as long term studies on topics of theology, church history, preaching, pastoral care and Old and New Testament. They are located at 160 Central Ave in Albany. Check out their website at www.capitalrtc.org for information and current course listings. Our combined summer missions will be charity:water and The Heifer Project. Watch for and check out our informational displays in the back of the sanctuary to learn more about the wonderful work of these two organizations. Use the yellow offering envelopes to make donations to any Mission of the Month. Please contact us to join the mission and get involved with these worthy causes.